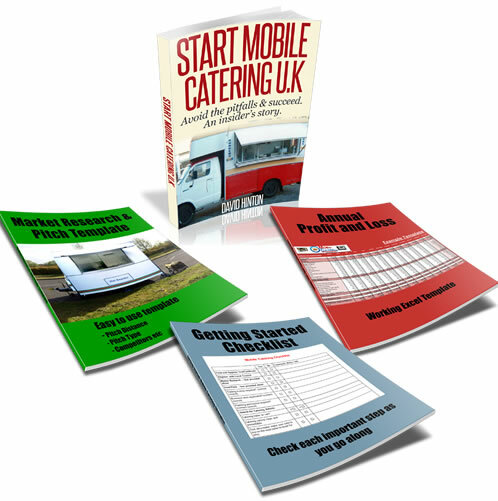 I Have a Really Fantastic Catering Unit - But Still Not Making Enough Money....Why? I was wondering if you could offer any advice on our situation; my partner and I have a really fantastic catering unit, with a very smart livery. We are located on an industrial estate with a very busy road to the left of us with an enormous amount of passing trade; we are easily seen from the road. We have all the equipment you could wish for including a char grill to produce a real BBQ flavour. We only use the very best locally sourced products and they are all Taste of the West Gold winners. Our baps are very large (six inches) and are baked daily by a local baker. Everyone who eats our food loves it; we have never had a complaint. We offer a fairly usual menu, and have a signature burger that everyone talks about. We sell Panini’s and toasted sandwiches. In addition we sell homemade cakes, drinks, chocolate and of course hot chocolate (made with milk and topped with squirty cream) tea and coffee; again the best coffee you can imagine - creamy, smooth and really delicious. We can deliver and have a loyalty card with our logo and number on. I have a stamp without logo and if a customer buys a hot drink I stamp their card and after nine they get the tenth free. So - why are we not selling more than 35 rolls/Panini’s a day. I just do not understand it. I am tearing my hair out! Please can you offer any help? Comments for I Have a Really Fantastic Catering Unit - But Still Not Making Enough Money....Why? Many businesses have the same old problem, the best product and service in the world but not on knows about it. In most cases it just down to lack of marketing, you can have the best business in the world but if no one know about it ? you?re not going to make any money. Can you get some free PR from the local press to showcase your signature burger, how about a small event like eat our signature burger or make a ?new triple pounder? and say eat this in 1 minute and get if free. Something along these lines, it will get you noticed more and provide free word of mouth advertising. How about a creating some digital exposure for your business like: a website, Facebook business page, a Twitter account. I have seen a food trailer ?tweet? its menu and location with regular updates, take pictures of your food, and discuss other related issues. The good thing is that most of these can be done for free, so why not look into it further. Do you give you customers a menu with each order, and what about posting leaflets to all the local businesses once a week or twice a month to keep your business front of their mind? Do you have any car parks near buy where you can post flyers on car windscreens? It sounds like you have a good, solid business foundation- just think of ways to take it too the next level and start marketing the business regularly. Hope this help, if you like send me a few pictures of your trailers, location, phone number and pictures of the food and I will add it to this posting and upload to the web for you.